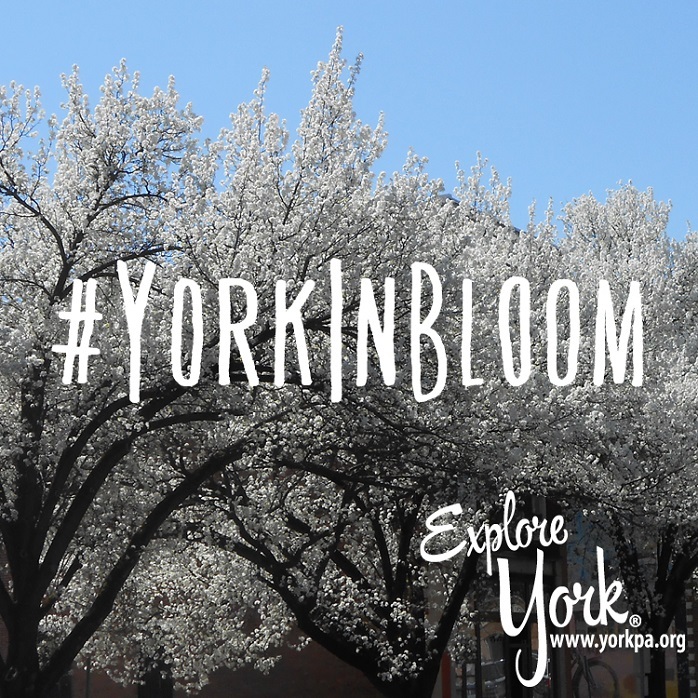 Enter the #YorkInBloom Photo Contest! Let&apos;s see your best springtime photos for our #YorkInBloom Instagram contest! York will soon be bursting with color as spring flowers sprout, and we want to see your photos of #YorkInBloom! 1. Take a photo that shows York County coming to life this spring. Think colorful flowers, fields of green or the robin hopping around your backyard. Get creative, and don&apos;t be afraid to get out and explore! 2. When you&apos;ve found the perfect shot, post it on Instagram with the hashtag #YorkInBloom between 9 a.m. April 1 and 5 p.m. May 5 to be entered to win a $25 gift certificate to Miller Plant Farm -- where you can find all you need for your own spring garden! Members of the York County CVB will vote on a winning photo during a National Travel & Tourism Week breakfast on May 11. The winner will be announced that week on social media. Take a photo that illustrates spring in York County. Post it to Instagram with the hashtag #YorkInBloom. You must include the hashtag to be entered into the contest. ENTRY: No purchase necessary to enter or win. Contestants will enter by posting a photo on Instagram with the hashtag #YorkInBloom. All valid entries will be entered into the competition. No responsibility can be accepted for entries not received for whatever reason. DURATION: The contest opens at 9 a.m. EST April 1, 2017, and closes at 5 p.m. May 5, 2017. WINNER SELECTION: Winners will be selected by vote of CVB members attending a networking event . The winner will be selected by a random drawing or by community vote under the supervision of the York County Convention & Visitors Bureau. All judge&apos;s decisions are final. PRIZES: The prize is one (1) $25 gift certificate to Miller Plant Farm. Unless expressly noted, the prize does not include transportation, lodging or any and all other costs incurred by the winner. The promoter is not responsible for inaccurate prize details supplied to any entrant by any third party connected with this competition. No cash or other prize substitution shall be permitted except at the discretion of the York County Convention & Visitor Bureau. WINNERS LIST: The names of the winner may be obtained by sending a self-addressed stamped envelope to: #YorkInBloom Photo Contest, York County Convention & Visitors Bureau, 60 E. North St., York, PA 17401.